I have smart friends. 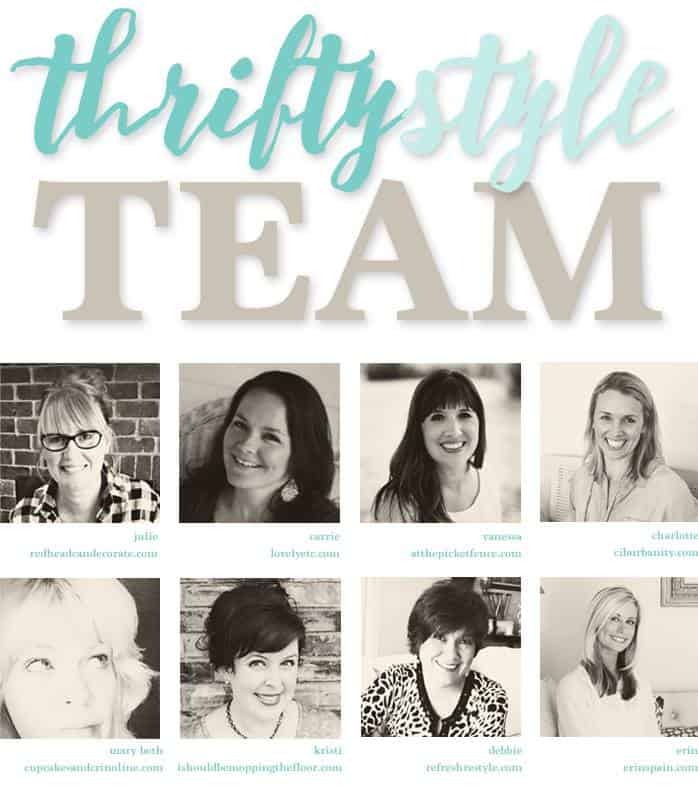 So when one of these super smart friends organized a group of amazing bloggers to share thrifted items that they’re using on a daily basis around their homes, I was like ‘heck yeah!’. 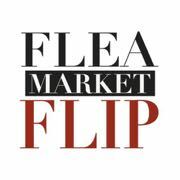 Our home is RIDDLED with thrifted repurposed items and I love a chance to talk about them… People often comment that they don’t have the imagination or the foresight to use grubby flea market finds around their homes, so I’m hoping to change the misconception one piece at a time. 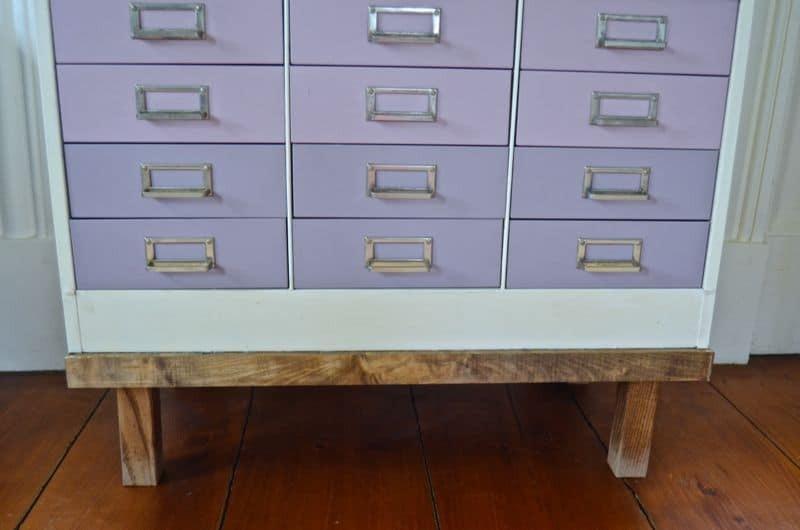 Today, I’m starting with the good ol’ ombre file cabinet! This gal’s had 15 minutes of fame when she was featured in Better Homes and Gardens…. Sadly, my original post about her, was… not great. Here it is so you can go and see the full tutorial in all its dated glory, but today’s my chance to share a few more glamour shots of the old girl in our new house! As a reminder, I snagged the cabinet off of Craigslist for $70 from a gentleman who used it for his fossil collection. 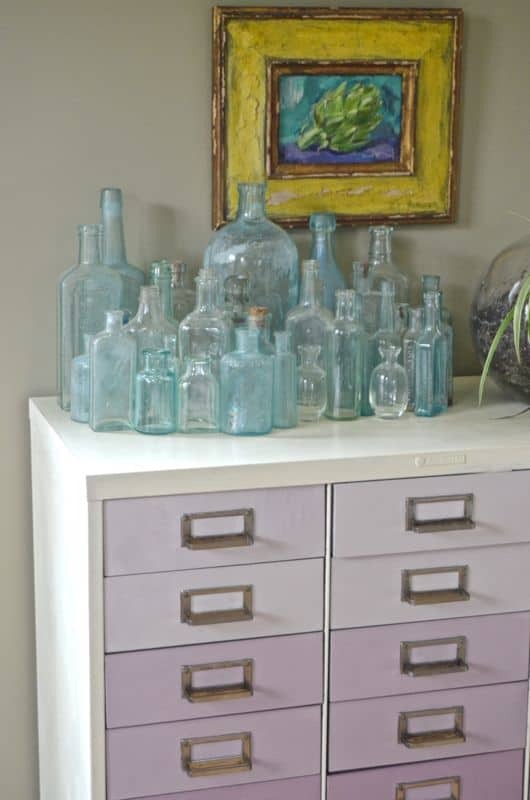 I’ve since seen the same one at the flea market lots of times so keep your eye out… these cabinets are out there! I used chalk paint and it’s held up PERFECTLY. Not a scratch on it! For reals! To keep it looking a little more furniture and a little less office storage, I made a super simple base. I wish I could say I had a system for the drawers, but… I don’t. Basically it holds anything that is small enough to fit in each drawer. Random stationary… old Christmas cards (I have STACKS from every year), fabric samples, and general miscellany. 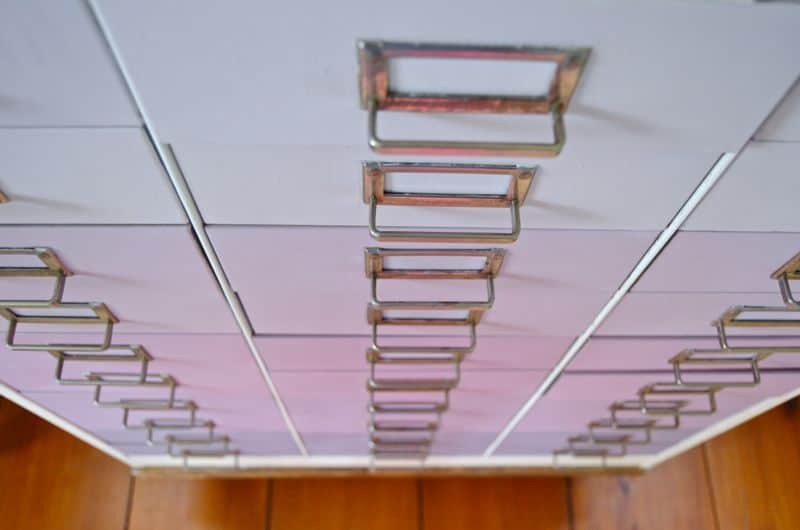 I dream of having a room filled with fun storage solutions so I could have a drawer for EVERYthing. One drawer for washi tape. One drawer for those toothpick thingies. One drawer for marbles. Sort ALL THE THINGS. 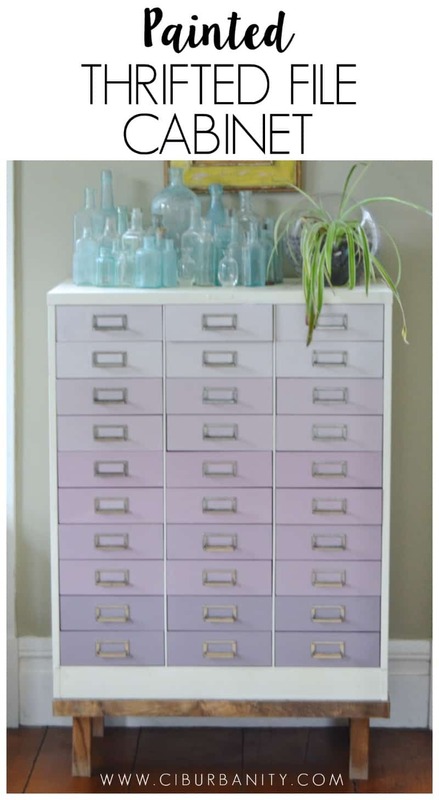 But for now, I have my amazing repurposed ombre file cabinet! But wait… there’s MORE! 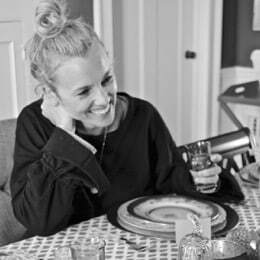 Head over to my pal’s blogs to see how THEY use thrifted awesomeness around their homes… I can’t wait! Tune in every month ’cause we’ll be back to share more great thrifty upcycled ideas! This is gorgeous, Charlotte!! And those bottles…SWOON!! Thanks, Lucy! Appreciate the invitation!! 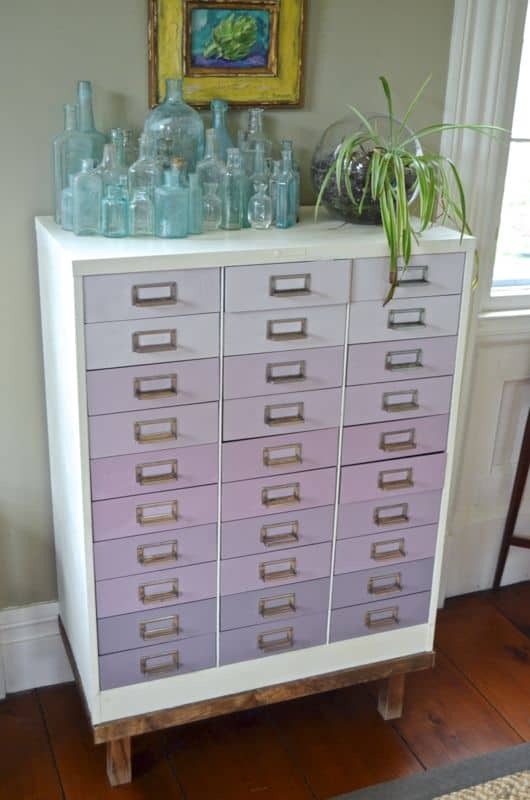 Soooooo loving your file cabinet make over! It’s so fresh and pretty …pure eye candy! I hope you have a great day! If you would like to inspire some more, Making Broken Beautiful is starting right now over at The Curator’s Collection and I would love to host your amazing talent! Thanks, Terry! They’re still one of my favorite projects! I LOVE yours, Jes! Great job!! That’s lovely! 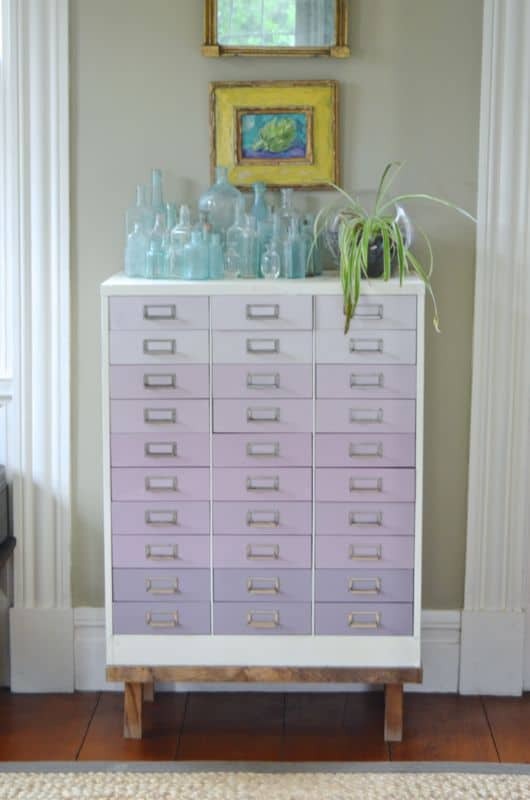 I know how much time it took you to paint each drawer, because I have the same cabinet. It was a huge project, by I’m so happy with the result. Exactly! It definitely took some time, but it’s still one of my favorites years later!